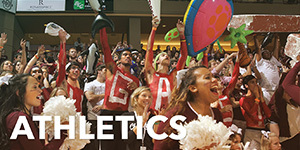 Welcome to the College of Charleston! Welcome to the College of Charleston and the Academic Advising and Planning Center. During your first year at the College, with a few exceptions, you will be working with our staff of professional academic advisors. On average, students are expected to see their advisor at least once per semester, but certainly more in-person or electronic contact is encouraged. Many newly admitted students have questions about an average course load, important things you need to know, how college is different from high school, and what exactly is academic advising. 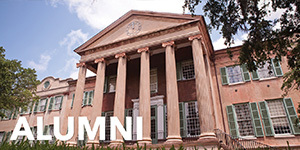 As a new student at the College of Charleston, you will meet with an academic advisor during new student orientation. Use this list to prepare for your orientation advising meeting. 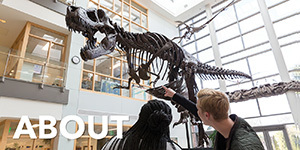 Advising and Registration is a part of the two-day campus orientation process, which occurs in each of 10 Orientation Sessions over the summer. New students are advised in the morning of Day 1. Advisors cover graduation requirements, general education requirements, the rigor of college and other information essential information in small group advising sessions. Students are provided with personal placement scores already available to the college at that time and will chat briefly with an advisor about their specific questions or concerns. Students are given homework to complete overnight in preparation for the registration process. Welcome to college! Day 2 consists of actually registering for the fall courses (Summer orientation) or spring courses (January Orientation). Before registering, student homework will be checked. No homework = No Registration. Again, this is in small group environment and will be held in a computer lab. The same advisors from Day 1 will be with students on Day 2. All students must check out of the computer lab with their assigned advisor. The advisor will check the student’s schedule for appropriateness based on their discussions from Day 1 and Day 2. Students can make changes to their semester schedule after orientation is over, but it is strongly encouraged that students check in with their academic advisor when making changes. Prior to arriving on campus, new first-year students (excluding transfers, Honors, and Athletes) are expected to complete an Advising Learning Module in OAKS, the College of Charleston's online course delivery system. We will send an email to these students within two weeks of their orientation session. This Advising Learning Module is packed with several short learning modules that will lay a strong foundation for the orientation experience. Information about the ALEKS Math Placement Test is available from the Department of Mathematics. French, German, and Latin: Placement testing information and placement guide for French, German, and Latin. Spanish and Portuguese: Placement information for Spanish and Portuguese from the Department of Hispanic Studies. Other Languages: Placement testing information for other languages. Visit the Academic Advising and Planning Center's Student Resources page for academic planning tools, campus resources, and answers to commonly asked questions. What is the Average Course Load? 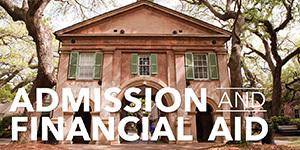 The College of Charleston requires students achieve 122 credit hours upon graduation. Typically, it takes most students at least 8 semesters to complete a degree. This averages to 15 credit hours per semester for six semesters and two semesters with 16 hours. This excludes any consideration for AP, IB or dual enrollment credit upon entering college. This average also does not consider if a student is thinking about a possible maymester or summer school experience. Your academic advisor will discuss with you when you come for new student orientation about what is the best option for you. Students must be enrolled in 12 hours to be considered a full-time student. On average, students enroll between 14-17 credit hours per semester. 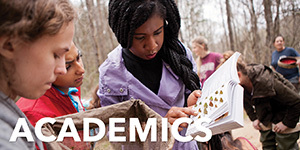 Explore the Academic Services Tab in MyCharleston. There is a wealth of information here that will help you become acclimated to the College and be an invaluable resource once you’re on campus. Read your g.cofc.edu email. ALL official communication comes through your campus email address. This includes important information from our office, New Student Programs (Orientation! ), the Treasurer’s Office (your tuition bill! 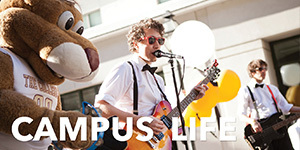 ), Residence Life and Housing, and Dining Services among many others. If you’re not sure what to do, do something. Call what you think to be the most appropriate office or get online to find out the answer. Not asking for help doesn’t get your question answered or help you be successful as you prepare to come to college. What Exactly is Academic Advising? Academic advising and planning helps you learn how to successfully navigate the many opportunities and responsibilities of your college education. This is achieved through regular interaction between you and your academic advisor. You will talk about who you are, your personal and academic goals, and challenges and begin to strategize a plan. You will be assigned an academic advisor who will work with until you declare your academic major. When you come to orientation, you will be advised in small groups of 20-25 other new students. Part of your first day at orientation will involve your meeting a team of professional academic advisors in a classroom setting. The academic advisors will teach you about the general education and graduation requirements. Academic advisors will also talk about the rigor of college, expectations for academic work on the college level and respond to questions. As time permits, academic advisors will meet briefly with each of you should you have questions that are specific to your situation. Then, you will be given some HOMEWORK (welcome to college! ), which this advising session will prepare you to complete. We expect you will complete your homework (a.k.a. Registration Entry Pass) before we see you again the next day. No homework = no registration until it is complete. Keep in mind, you will be unable to do your homework before we teach you what you need to know during advising, so this is not something you can do before you come to campus for orientation. On the second day of orientation, we will see you again for course registration. Again, you will be in the same small groups as the prior day with the same professional academic advisors. This time, you will be in a computer lab. Advisors will teach you the mechanics of how to register and using your Registration Entry Pass, you will register for courses. Advisors as well as a few trained upperclass students will be on site to respond to questions or concerns that may arise. You are expected to check out of the registration room with your academic advisor. The advisor will check to make sure that the courses you have registered for are appropriate based on what you have shared with the advisor up to that point. During the academic year, you will meet with your assigned advisor at least once per semester. This is a one hour appointment dedicated solely to you. Please review the Academic Advising Dialogue to see what happens in that one hour appointment. Our Advising Syllabus will also give you useful information about the academic advising process, as well as important advising deadlines.